My name is Abdulrahman and I’m 25 years old. My wife and I have a little baby daughter who is three months old and we live close to Tandale market in Dar es Salaam. When my wife was at the end of her pregnancy, I started to feel ill. I had pain in my chest, sore joints and I began losing weight. I was also exhausted and I could no longer work. I am a mechanic and a truck driver, transporting heavy loads to neighbouring countries. It’s a dangerous job if you are not fit and alert. I soon went to a clinic for a tuberculosis test. When the result was negative I didn’t know what to do. It was a very difficult time for my wife and I. She was nearing her due date and could no longer work, and I was unable to provide for my family and didn’t know how to get better. I was afraid her and our child might get sick as well so I moved away to my father’s house. While staying there I got a call from MKUTA, explaining that rats had detected tuberculosis in my sample and APOPO's lab technicians had confirmed it. Rats! I started treatment and improved immediately! My colleagues also became nervous around me, as they thought they would get sick too and some even thought I was HIV positive. In Tanzania many people do not understand either TB or HIV. They think both are a death sentence and also that you can get HIV just by being in the same room as a sufferer. They won’t socialise with you and people often lose their job because of ignorance or discrimination. But you can recover completely from tuberculosis and live a full and normal life with HIV if you are on treatment and take care of yourself. I was ignorant too before, but MKUTA taught me all of this. I am very grateful for all the efforts of APOPO and the HeroRATs. Without them, I might still have been sick and separated from my wife and daughter. 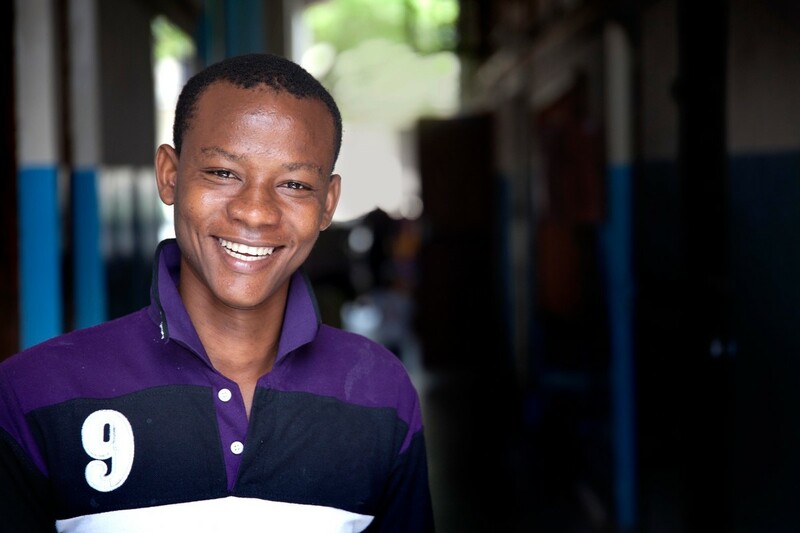 Support APOPO to help more vulnerable people like Abdulrahman to rebuild their lives.